(Clearwisdom.net) December 5 is the Thai King birthday. 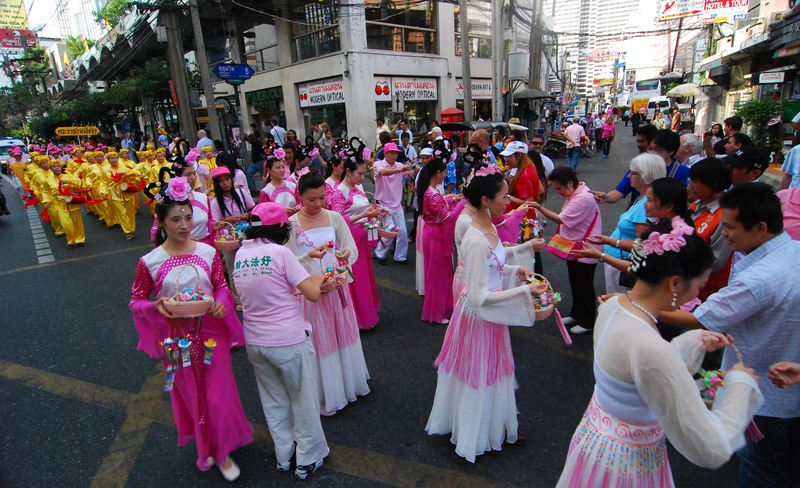 A celebration parade was held on Sukhumvit Avenue in Bangkok. 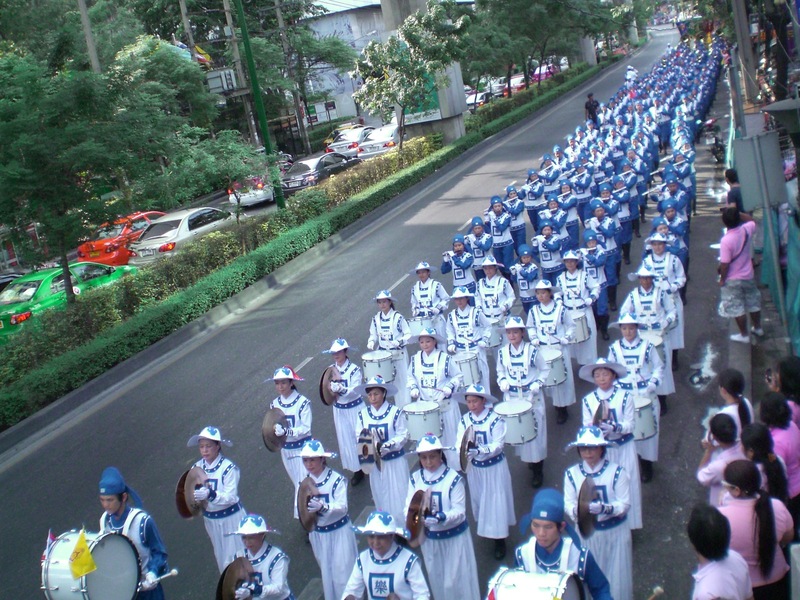 The Divine Land Marching Band, consisting of Falun Gong practitioners, performed in the parade. 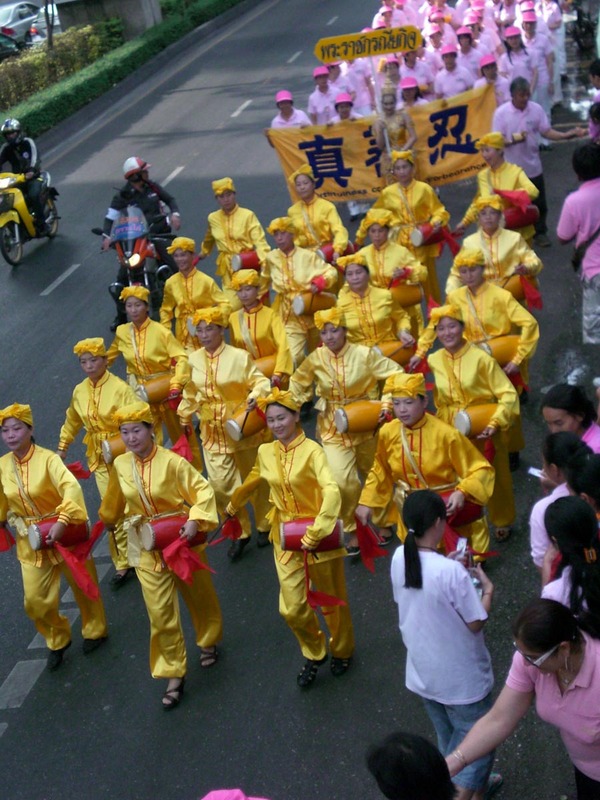 The Falun Gong contingent consisted of the band, a fairy dancing team, and a waist drum team. 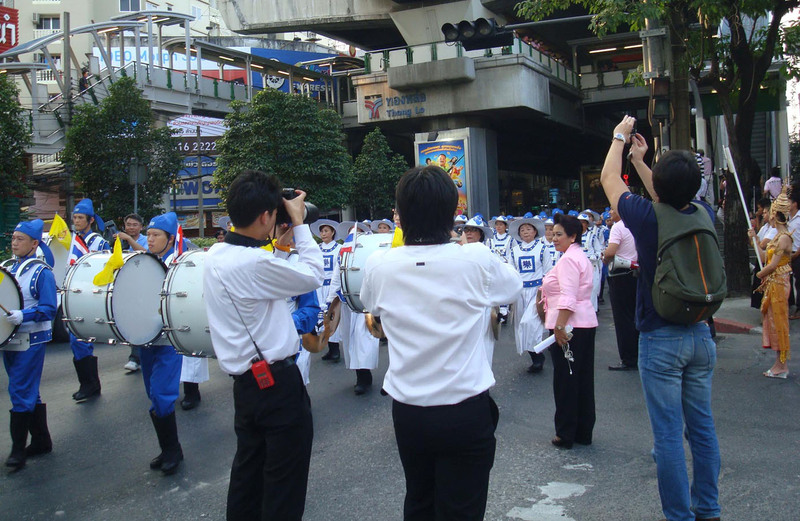 It was the first time that the Divine Land Marching Band performed in Bangkok. Their performances were warmly welcomed by spectators. Band members were from Taiwan, Malaysia, Japan, Singapore, Korea, Hong Kong and Canada. 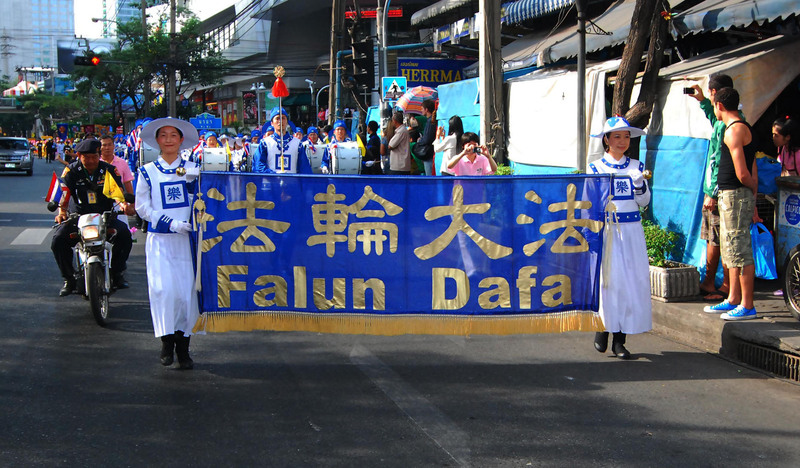 The organizer of the band stated that their goal was to let local people know about Falun Dafa and the truth of the persecution in China.